Last year I made the decision to not make resolutions but instead to pick a focus word for the year. I ended up with 4 and it worked, sort of. I know I’ve said it before but last year was hard. Major health issues in the lives of my close friends and family. Major life changes for my family in both the good and bad departments. Starting in May I was living out of a suitcase and on the road a good chunk of the time. It made for a physically and emotionally challenging year. Through it all my 4 focus words, Creativity, Outdoors, Simplicity and Rest, became hard to focus on. Life got busier and more complicated. Looking back, I’m finally starting to be okay with it instead of being frustrated. I was where I was supposed to be. My focus changed, and my priorities shifted dramatically. As a result my focus and ideas for the year also changed. Guess what? That. Is. Okay. While my 4 words were still there on my list, my focus shifted by necessity. But I’m realizing now that they still made an impact on my year. As much as I love the outdoors, I couldn’t get outside for the hikes and camping I had envisioned. My time needed to be spent as a caregiver indoors and helping out when and where I was needed. But I still got out when I could for morning walks with Bailey and was able to capture magical moments with my iPhone. In fact my new calendar for 2016 ended up being all iPhone images! Kinda cool. Resting became even more of a challenge. Caregiving is demanding on your time, emotions and energy. Plus I still had to run my business, so early mornings, late nights, and weekends were needed to keep up. Simplicity won out in the end, living out of a suitcase and traveling a lot can force you to simplify in ways you never imagined. Compassion, patience and endurance became my focus and my chosen words took more of a backseat position. And guess what? That. Is. Okay. Looking back, that is one major change I would make. While I loved my chosen words how was I going to bring them to life and make them a focus for the year? How was I going to simplify? What does it mean for me to rest – really rest? How did I want to use and express my creativity? What were my outdoor plans? Without writing out specific action steps, these words ended up being a bit nebulous. There was no defined shape or form to make them a reality. That is changing for 2016. It is so easy to get caught up in the excitement of planning for a new year. It can feel like a blank piece of paper just waiting to be filled. We carefully think through and pray about the new year, what it will look like and what we want to accomplish. But get a week or two into it and things start to fizzle out. The excitement wanes and the motivation starts to lag. Understand the why behind your chosen word. What does the word mean to you? Why now? Review your word, your why and your action steps on a regular basis. Does the word still apply? Is it time to adjust or change? We need something that will grab our attention and act as reminders. 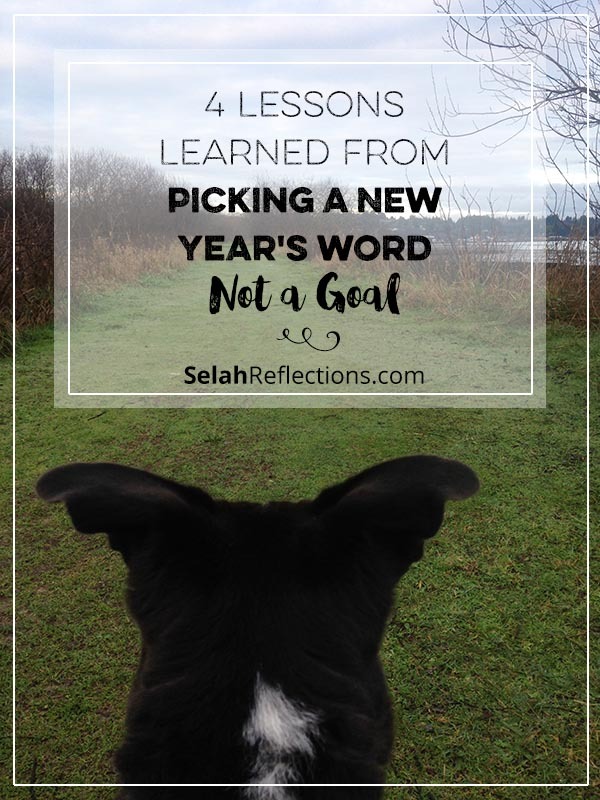 While I do still believe that having a focus word works best for me, I’m doing it again this year, I will be taking these 3 lessons and changing my approach. This year my word will have a foundation built under it to support it and bring it to life. Here are a few additional resources to look at. I just listened to a great podcast from North Point Community Church on viewing the new year through the lens of possibility and picking a fruit of the Spirit as a focus for the year. This one is saved and will be listened to again. Click here to listen. Two of my favorite books are Make It Happen by Lara Casey and Visioneering by Andy Stanley. I’ve used the Make It Happen process again this year and loved it. 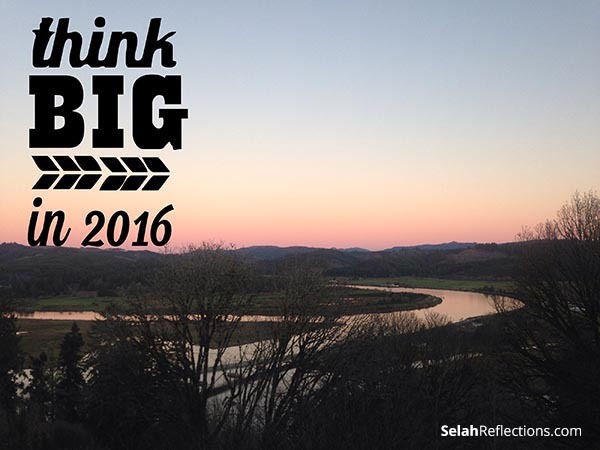 So what will your word be for 2016? Looks like mine is going to be Purposeful… but more on that later. Great ideas on how to flesh out your word(s) for the year. I have had similar thoughts. My main word for the year is “Hope”. I am planning on focusing on a “sub-word” per quarter (or month?! ), as well. I, too, want to take a more active role with my words. That is an interesting idea. I wonder if having a sub-word or each quarter taking a different aspect of your main word to focus on would mix things up a bit and help keep the ideas fresh. Hmmm, now you got my wheels spinning.